Voted the best Long Island Roofer: Please call us to help with Roofing, SIding, Gutters or any home improvement project. Our roofing system is designed to keep your home safe under the worst weather conditions and with new designer styles and colors, you will be amazed at how beautiful a new roof can make your home..
Can you say, "Curb Appeal?" Visit our showroom to envision new colors, textures & styles. You can be the creative force that helps us turn your dreams into reality. From new Andersen windows to Full Home Construction we make the building process very easy for our clients. Watch The videos Below to see how we have been featured on News12 Long Island and on Verizon Fios1 News. See Sean Bergin from News 12 install a roof on a beautiful Long Island Church with our crew. 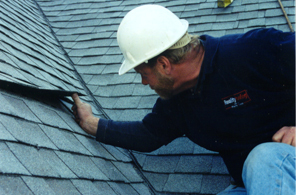 Sean saw first hand how our team puts extra care into each roofing shingle. When the blizzards of 2014 hit Long Island, Channel 1's Jodi Goldberg came to Reality Roofing to learn the potential dangers it posed for homeowners. In a nut shell, most roofs can handle up to 20 inches of snow, but snow mixed with rain and ice can cause numerous problems. 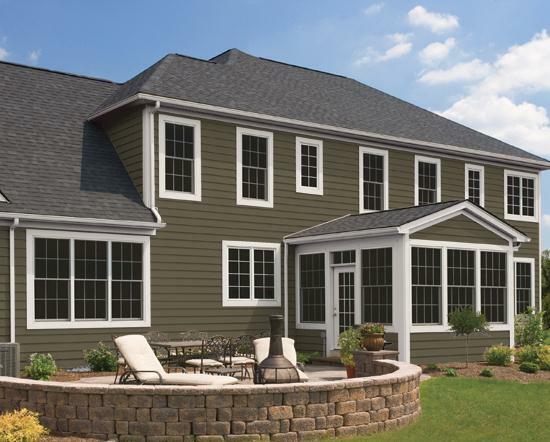 When Habit needs a roof installed the right way for a Long Island family, they come to us. Our services are always provided free of charge and built to last. We are happy to report that we have Installed 3 HFH roofs over the last year. Voted top Roofing Contractor in The US.